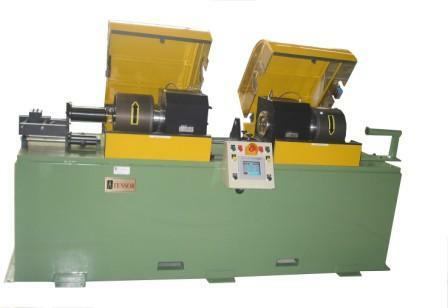 Binder - Dual | Tensor Machinery Ltd. The Tensor Dual Binder is designed to apply two binding yarns around a cable core that runs through the middle of the binder. 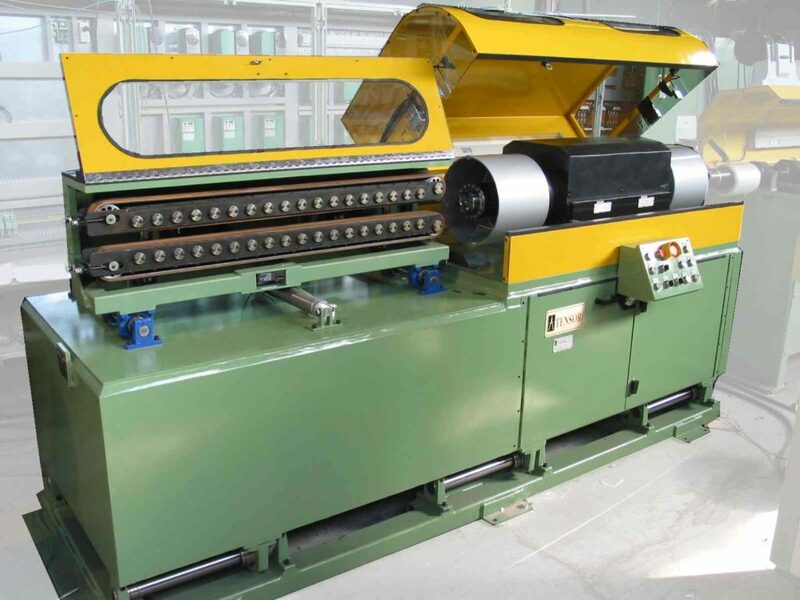 On a dual binder, there are two rotating binder drums: one at the front of the machine and one at the rear. The dual binder is designed in such a way that both of the binder ends are applied at a single point—the entrance of the binder head. 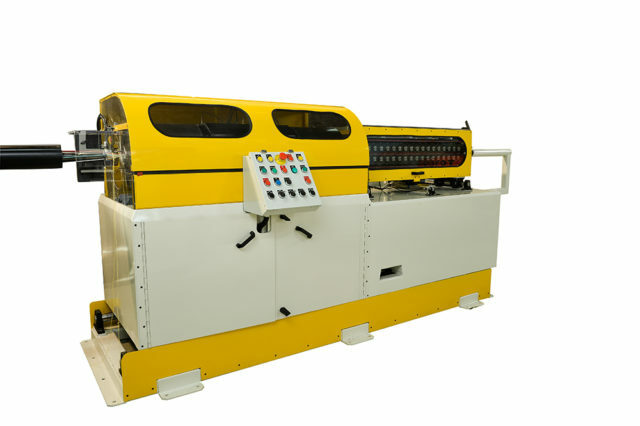 This provides a crossbinding pattern around the cable core, which holds the tubes or wires in an exact laylength pattern no matter which way the tubes or core are twisted. This is especially important when a SZ Oscillator is used to twist the wires or tubes. The binder tension can be adjusted between low tension and 2000 grams (typical) and maintains this tension throughout the entire binder package length. Special sensors and programming take into account the package diameter, rpm, linespeed and acceleration to maintain constant tension during the run. An anti-torsion capstan is placed close to the binding point to prevent the cable from rocking and to capture the desired lay length. The anti-torsion capstan moves out of the way to allow spare binder packages to be placed on the binding head during a run. 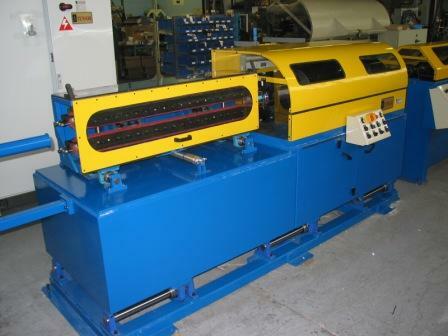 Standard features include a low-package detector, broken-yarn detector, pneumatic cutters to cut binders during E-stop, and automatic positioning of binder relative to the SZ Oscillator. 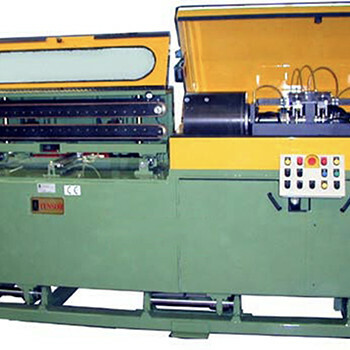 The binder unit can be made to stand alone with a PLC or can be integrated into a complete Tensor stranding line.